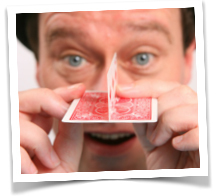 This is such an easy to do magic trick and even easier to make, but it is one of the coolest effects. 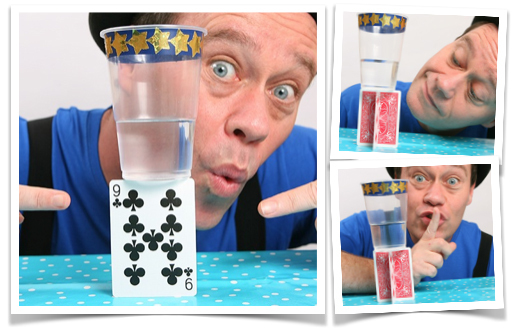 You – the magician – show a cup half filled with water, take a sip of water and then stand the cup on one single playing card that is standing upright. Amazing! 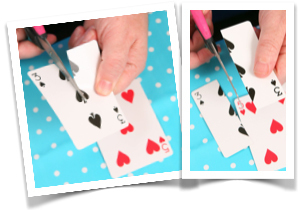 Cut one of the cards in half across the length of the card. 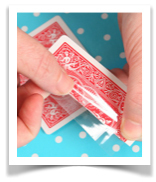 Stick a length of see through sticky tape along the cut edge of the ‘half’ card. 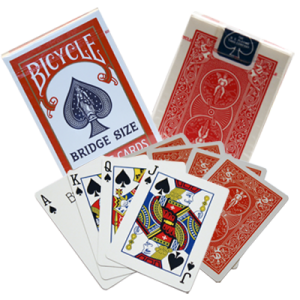 Stick the ‘half card’ onto the back of the other playing card. You will now have a ‘flap’ like shown in the pictures. 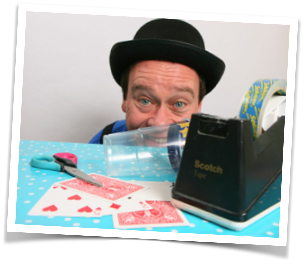 Stick some tape on the other side of the ‘half’ card as show below. You have made your ‘gimmick’ for the anti gravity glass! It should look liken the picture on the left. TIP: But your audience won’t see anything, (picture on the right). When doing this trick, you will be relying on good angles. You also need to be careful of flashing your gimmick, so make sure you practice this before showing your audience. Now you have your ‘gimmick’ for the anti gravity glass. This trick is so easy to do. 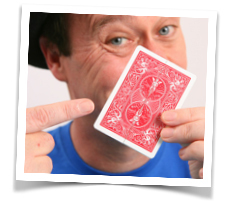 Work on a good presentation – the story you tell while performing your trick and it’ll make this good trick a GREAT trick!